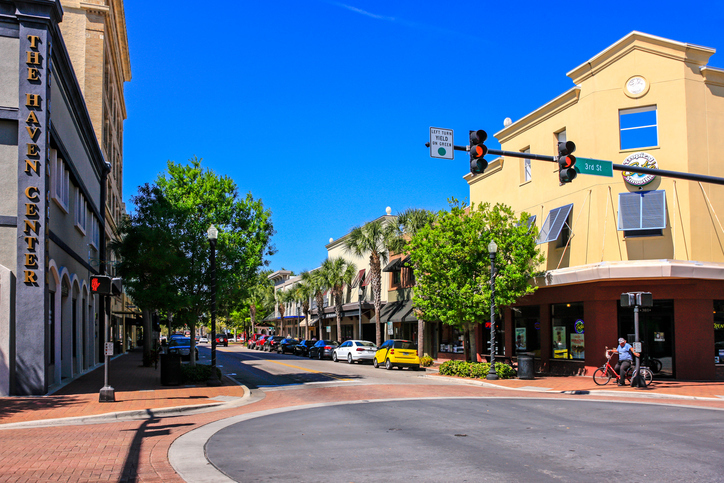 Throughout Polk County are several places where you can shop until you drop, from huge shopping malls to streets lined with a wide range of independently owned shops and boutiques. Here are the best places in the area for retail therapy. Rated as one of the best malls in Polk County, Lakeside Village is a one-stop for all shopping enthusiasts. This outdoor mall in south Lakeland has a combination of high-end designer boutiques, specialty stores, national retailers, service providers, and restaurants packed in one sprawling facility. Aside from shopping, Lakeside Village is also one of the go-to places for entertainment. A short distance from the shops is Cobb Theatres Lakeside 18, where you can catch the latest movie screenings. Shops and restaurants in Lakeside Village include: Francesca’s, Bath & Body Works, Loft, Victoria’s Secret, Olive Garden, and Bed Bath & Beyond. Winter Haven’s Main Street is a treasure chest of wonderful shops and boutiques, with some of the best ones being independent and locally owned. The Shop is one of these gems, featuring a wide variety of items from jewelry by makers like Luca and Danni to ceramic ware and decorative wine sets. If you’re looking for more mainstream Florida-themed gifts, The Shop has that as well. Other notable shops in Downtown Winter Haven include: m.marie for womenswear and Andy Thornal Company for outdoor gear, sporting goods, as well as luggage and jewelry. If you’re looking for a rich variety of antiques and vintage clothing, Wildwood Antique Mall of Lakeland is the best place to be. The whole mall is a treasure trove of rare and unique finds, which will surely delight every antique collector (or even those who are new to the hobby). Find anything, from refurbished furniture to art and jewelry in this wonderful maze. Wildwood Antique Mall of Lakeland is open Mondays through Sundays. Ideally located between Tampa and Orlando, Davenport’s Posner Park is more than a shopping mall– it’s a gathering place for friends and families. There’s a wide array of shops and restaurants located within this outdoor mall, as well as entertainment options and specialized services. You can head to Posner Park for shopping or make it a must-visit stopover whenever you’re driving around the area. Shops and restaurants in Posner Park include: JCPenney, Payless Shoe Source, Sake Sushi, Target, and Starbucks. Dive into Polk County, FL real estate with Better Homes and Gardens Real Estate By Design! Browse the website for more information about Polk County’s housing market and communities such as Winter Haven and Lakeland. This website is designed to be your go-to resource for everything Polk County, from its finest neighborhoods to the best attractions in the area. You can also get in touch with the team today at 863-294-7000 or through this channel to learn more about your real estate opportunities in Polk County, FL.